If Germany is the Land of Chocolate, then Switzerland is surely the Land Where Crazy, Expensive, And Crazily Expensive Cars Are Revealed. There is also chocolate in Switzerland as well, so they get the best of everything. Did you miss Day Two of the Geneva Motor Show? Then come along with us as we take a look at some of yesterday's biggest hits. It's gorgeous! It's fast! It's Italian! And it's coming to America! I'm so into the 4C that I can actually forgive it for not having a stick shift, and I don't say that about many sportscars. I just want to spend some quality time with it. We've known that a droptop version of the Toyobaru was coming for some time, but we saw it in the flesh at Geneva, and the car that will be the Scion FR-S Cabrio is lookin' real good. Even if it has a backseat that only legless people can use. After losing a ton of money trying to rescue Saab, Spyker showed the world that they're back in the game with this salacious mid-engine sportscar. We can expect power to come from a 375 horsepower V6 and a price tag in the low six figure range. 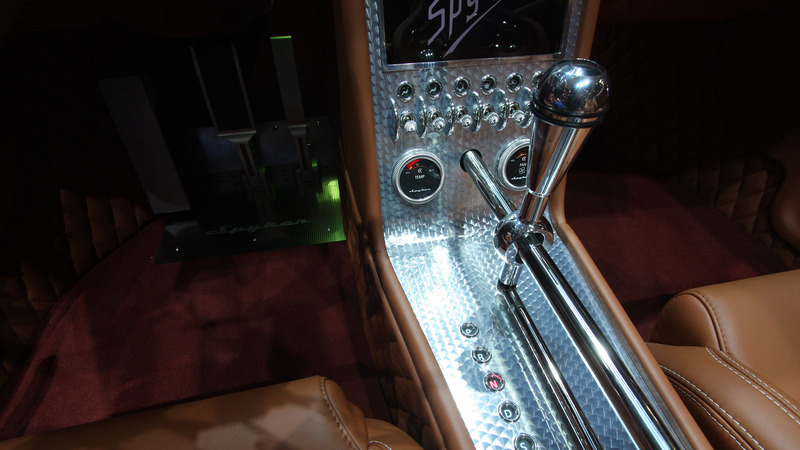 Also, DAT GEARSHIFT. I don't know why people on Twitter were complaining, because I'm a big fan of this concept. It's a mid-engine V10 supercar with extreme off-roading capability. And it looks amazing. Seriously, what more do you people want? I'd love to see someone make a version of this into a production car. Welcome to the age of the hybrid hypercar. For Ferrari, McLaren and Porsche, hybrid drivetrains will be utilized on their top cars to boost performance and fuel economy to insane levels. Travis has a good run-down of this development here. Also, learn more about LaFerrari's insane 963-horsepower hybrid V12.